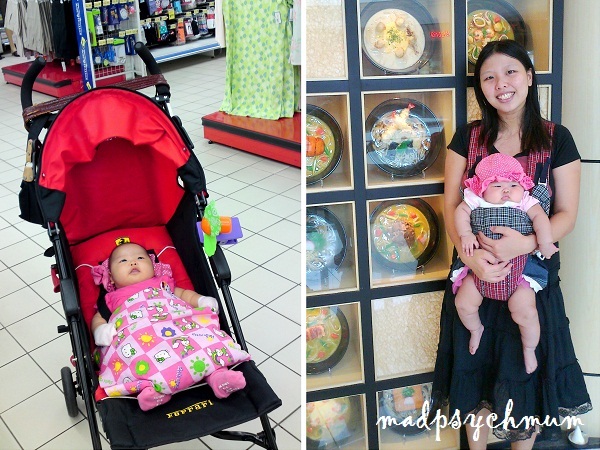 When I was a student & stay-at-home mum (SAHM), I had time. I went out with my mum-in-law to the malls every afternoon (that's how my list of nursing rooms came about), we had high tea, we shopped.. it was great. But then people started to say things about how lucky I was that I don't need to work (I perceived that to be sarcasm), how I'm wasting my graduate degree, how tiring my husband must be to have to bear the expenses of the household, etc. Not only was I the only one at reunions with a kid in tow (as I felt she was my only accomplishment thus far), I was also the only one not working. It takes a special person to be a SAHM and unfortunately, I'm not that special person. I can't cook, I don't clean and I don't have the patience to face my kid all day. Simply put, I'm terrible at my previous job while my mum-in-law excelled at it. My mum advised me that it's not good for a cave to have 2 lionesses. The mum-in-law hinted numerous of times that either one of us must go back to work and I know she was secretly hoping it was me because she would have hated being separated from her precious little girl, her reason to wake up every morning since my dad-in-law passed on. It not only made more economical sense that I went to work seeing that I earn more, but also practical too since she knew I would do a lousier job than her at taking care of my girl's daily needs. So went back to work I did, when my girl was 18 months old. But it was really hard leaving my girl at home. I missed her all the time whenever I was at work and started plastering her pictures all over my cubicle to make myself feel better. It's also hard to organise my time. I felt I was literally torn between work, taking care of my girl, taking care of myself and spending time with the hubby, my family and friends. I also had to get used to waking up early to commute to work, after years of sleeping and waking at any time I wished (plus I'm not a morning person at all!). Nevertheless, I don't regret my decision to return to the workforce. More than just the financial freedom, which believe me I completely enjoy, I derive a lot of meaning and purpose at my job, doing my little part for the many children who are abused and neglected. It also helps that my bosses are very understanding, often letting me take urgent leave or work flexible hours (this was why I chose the Ministry of Social and Family Development (MSF) in the first place). 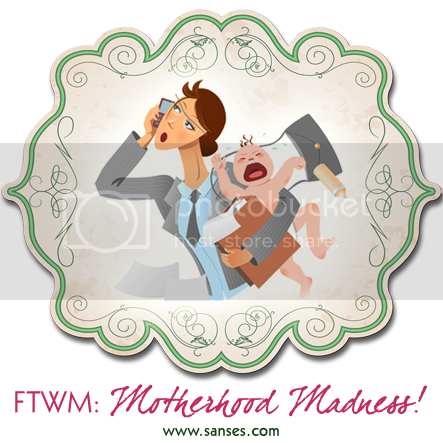 Looking back, it was great that I had a chance to be a miserable SAHM. No matter how busy or tired I am at work, I will never yearn for the grass on the other side because I was there and didn't like it at all.